Out February 26, 2016. Pre-Order Now. 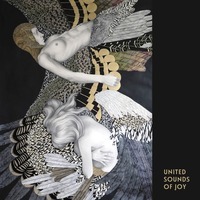 United Sounds of Joy is new project that Michael J. Sheehy has embarked upon with former Dream City Film Club bandmate Alex Vald. DCFC were signed to Beggars Banquet within a year of forming in 1995, released an album and recorded two Peel sessions before Vald was unceremoniously kicked out.